Diwali is the festival of lights and is celebrated every year between October and November. Diwali is generally practiced by Hindu and Sikh. This festival is engaged for 5 days celebrations including dancing, feasting and revelry known as diwali. Firework and lights symbolize the triumph of knowledge over ignorance, light over darkness and good over evil. It is also known as New Year of Hindu Calendar after fall. What we do in Diwali? We decorate our house with colorful candles; we can paint our walls with bright colors like purple or orange. We can hang bright colored sari fabrics on wall. We can hang many mirrors on the walls; we can decorate our house with flowers. With diyas and lights we can decorate our house. You can invite your family and friends to your diwali celebration. Have variety of sparklers on hand. 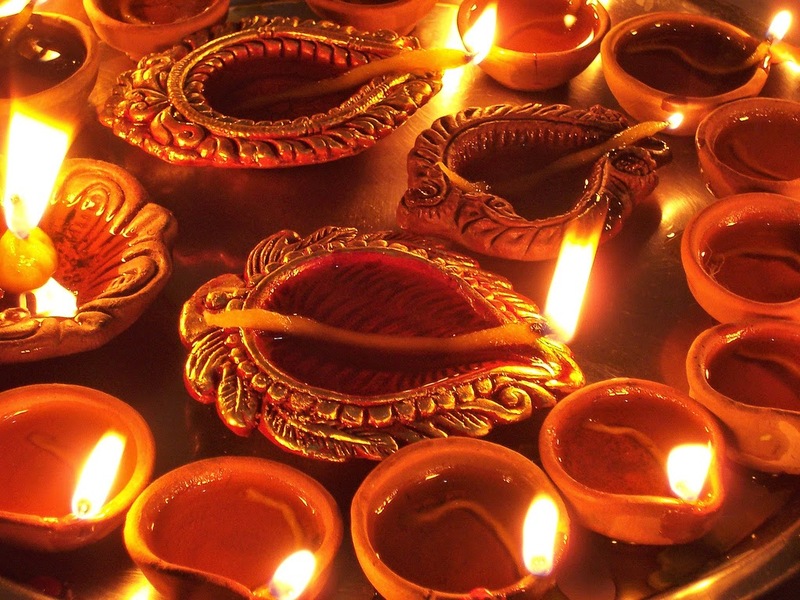 Purchase diya’s or clay lanterns which are specially crafted for this festival of lights. Invite you dear ones to light them. You can also attend local firework display as there you can get varieties of fireworks. Feast is very important part of diwali. Feast is celebrated to give honor and thanks for year’s harvest. You can book lavish banquet and invite guests to celebrate diwali feast. Light represents well being, wisdom and goodness. Although diwali is celebratory holiday and social holiday, take time from your busy schedule and meditate on the importance of light in your life. During meditate you need to think about passed year journey, emphasizing the positive. Pray for happy and prosperous life in coming year. You can also send some lovely well wishes and love to other. During Diwali playing cards game is very important. This is a traditional activity. Many people play rummy, you can play with or without gambling. Many people plays outdoors and indoors game like scavenger hunts and charades, all the five days of celebration. Children and women love to make crafts prior to diwali. You can find many things which are fashionable, beautiful etc at your home only. Many people’s make diya’s and lanterns at home only. These were few things which you can be done during this diwali festival.